All the kid’s wear are available at bubble kid’s wear in the lake city Udaipur. We have the wide range of the kid’s wear ranging from the age of 0 to 14 years. Be it jeans, trouser, t-shirts, trendy shirts for the cool boys and lovely dresses like skirts, top with latest fashion for the lovely girls. We are known to follow the fashion streak with the fastest pace in the market place. Our fabric and stuff quality is the best and the best part of our selling technique is that we don’t compromise with the quality of the cloth. 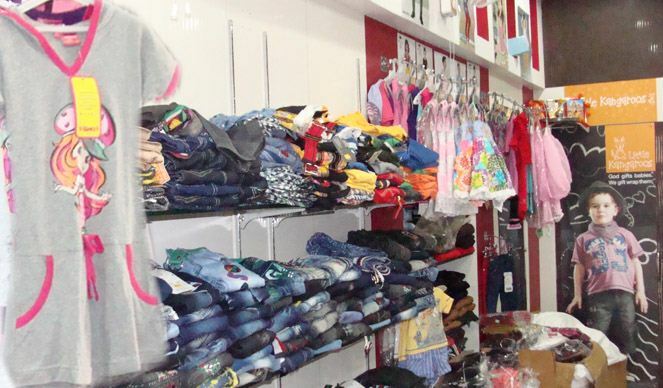 We try to maximize the customer’s satisfaction by providing them the best and latest kid wear. We have very promising feedbacks from our customers and we in future hope to have the same. Be our guest and explore the all new world of fashionista. We are the leading dealers of the kid clothing and apparels. Our cloth value is very well known. Be it any party wear or casuals, for kids we have the most comfortable and lovely quality.